Lately, we’ve been creating many motion graphic videos for our clients, and with each video, we’ve found that the video speaks to hearts in ways you and I simply can’t. Motion graphic videos add fulfilling ambience, visual clarity, inviting promise, and profound impact. This video (https://vimeo.com/153398822) was created for an amazing church out in Denver, Colorado, as a way to announce, invite, and promote a brand new Saturday night service. The church genuinely wanted to reach out to members in the surrounding community and began brainstorming how to meet their neighbors’ needs, as Christ comes to meet ours. Most of the community is involved in recreational activities, whether hitting the slopes themselves or going to their son’s Sunday morning soccer tournament. In an effort to meet people where they were, Cherry Hills Community Church began opening their doors on Saturday evening, a convenient time that makes Sunday morning rest possible without missing worship together. Another client is Progressive Baptist, a 97 year old church who reached out to us in order to create a video for their congregation which would invite everyone to come to their first ever Summer Retreat Getaway. The video (seen here https://vimeo.com/160421793) was a way for the church to express their unified vision, as well as encourage members to come together for a special time of rejuvenation, seeking God, and fellowship. Needless to say, it was a hit. 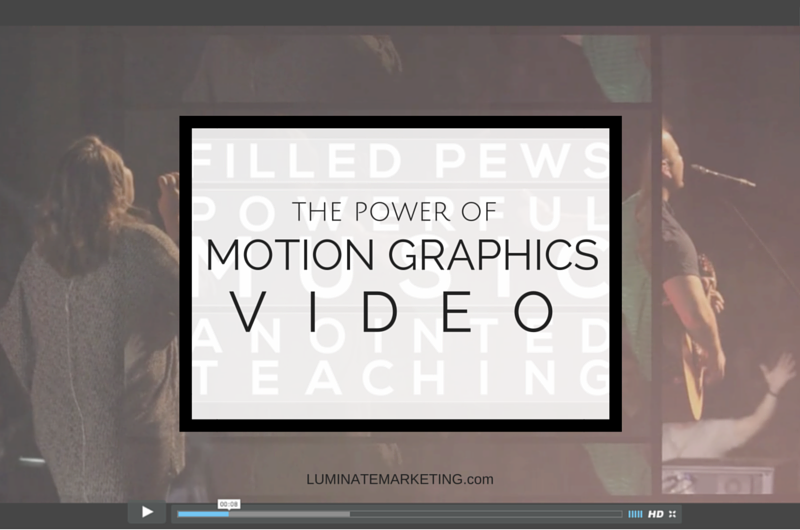 Motion Graphic videos are powerful. Allow Luminate to help you discover the power within your mission!